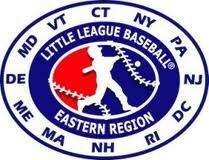 Double Play is a local NH Seacoast grassroots organization that is collecting and distributing used baseball and softball equipment to those who have none. Our goal is to bring the same smiles to the children of Nicaragua that a "new" bat or glove brings to our children here in the States. When you're cleaning out your basement or garage and find cleats, bats, hats, gloves catching equipment and baseballs that your kids don't use or have outgrown, please consider donating these items.